Mr. Tallerico represents clients in complex commercial litigation and arbitration, nationally and internationally, particularly matters involving the auto industry, professional liability, securities, distribution relationships, and antitrust law. Mr. Tallerico has extensive experience representing major corporations, including financial institutions and automakers, in multi-million dollar litigation involving third persons incorporated in North America, South America, the Caribbean, Europe, the Middle East, and Asia. He has handled anti-trust cases, securities fraud/professional liability and lender liability matters for major corporations, including American Airlines, Inc., The American Medical Association, a joint venture of Sherwin-Williams and Hoechst AG, and numerous banks. Mr. Tallerico has also represented numerous clients on all types of fraud claims. Mr. Tallerico is a civil mediator and is admitted in numerous Michigan counties. He is also listed on the American Arbitration Association's Complex Commercial Dispute Panel and its International Panel. He has been appointed by AAA to serve on numerous panels, as sole arbitrator, panel member, or chairman. He is a member of the advisory board of Big Brothers-Big Sisters of Metro Detroit. 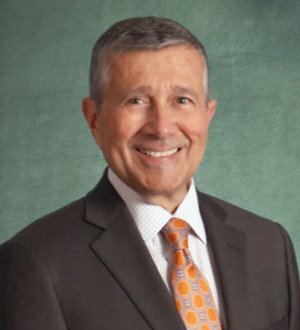 He is the past president of the Oakland County Bar Foundation and of The American Constitution Society, Michigan Chapter. Mr. Tallerico is the co-author of “The Use of Bifurcation and Direct Testimony Witness Statements in International Commercial Arbitration,” Journal of International Arbitration (2003). He has spoken at seminars regarding international arbitration in the U.S., Germany, Austria and the Netherlands.Mr. Tallerico is reasonably proficient in Spanish and French. Before joining Bodman, he worked for the Bureau of Economic and Business Affairs of the United States Department of State.